Tom & Jerry: Kid Cartoon or Adult Cocktail? OF COURSE IT’S A COCKTAIL, common now. It’s the holiday season – the time when ugly sweaters (see my proud display on the right), horrible food arrangements and amazing, soul-warming beverages temporarily make their way into your life. 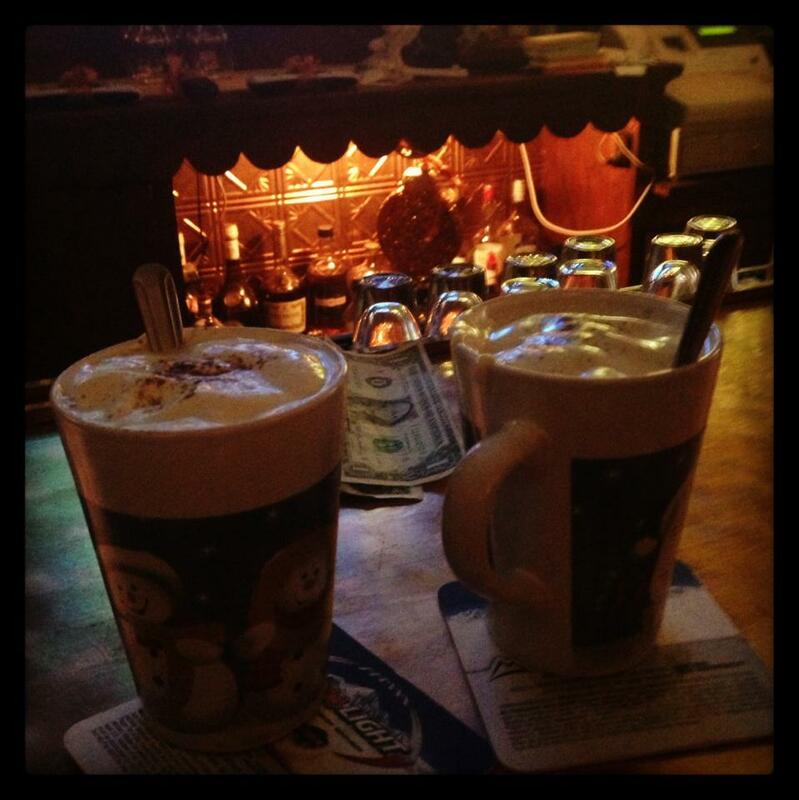 The classic Tom & Jerry is a sweet and spicy, frothy and foamy, addictive and awesome holiday drink. Overuse of alliteration aside, it’s a great libation to be enjoyed this time of year – whether it be home-made or served to you in the festive company of friends at your favorite local watering hole. Take a look at the goodness served to Karen and I from the Place on Lexington Ave in the Elmwood Village. If you add the warm charm of a wood burning fireplace and some dancing snowflakes outside the window, you’ll really be in a winter wonderland. I actually am thinking about giving the home-made recipe a shot…we’ll see how that goes! The list of locales offering T&J’s within Katie’s blog is extensive, but I thought I’d add in a potential Hertel option because my Hello Hertel contract requires I do so. While not promoted, rumor has it that the bartender at Lombardo’s will stir up and serve a very fine Tom & Jerry, should you ask. 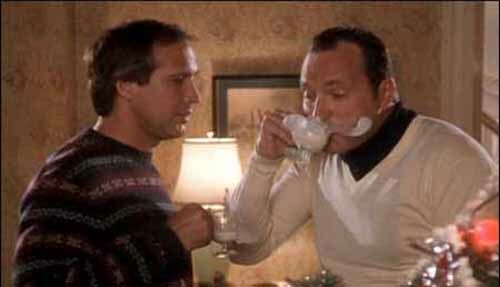 And if by chance he (or anyone, anywhere) says no, just throw your smuggled in moose mug on the bar and ask for some good old fashioned egg nog! Merry Christmas, happy holidays to all of you fine folks!